Construction site hoardings are often the target of unwanted graffiti, but one New York-based real estate developer has turned this phenomenon on its head. 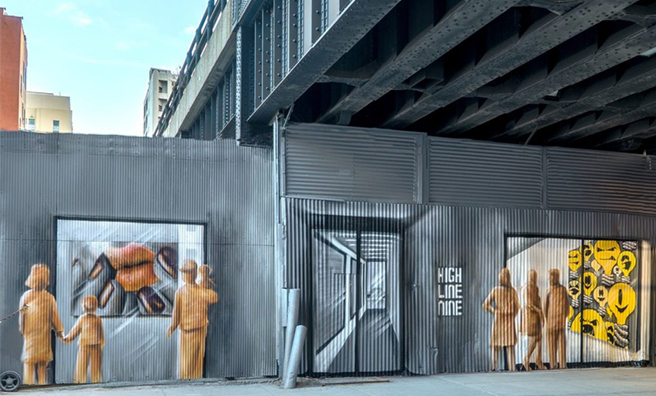 A recent commission from Related Companies invited two veteran street artists to transform the metal walls and gates around the company’s High Line Nine project in the Chelsea district of the city. Situated next to Zaha Hadid’s 520 West 28th Street project, also being developed by Related Companies, the High Line Nine aims to bring a new collection of European style hybrid gallery-eatery spaces to the Chelsea district, complementing the integral art spaces planned for the neighboring 520 West 28th Street project. The two artists – Meres One and See TF – are also known for their involvement in the 5Pointz complex in the Queens district of New York, a recently demolished abandoned industrial site that had for years acted as an art tourism destination displaying the work of graffiti artists. 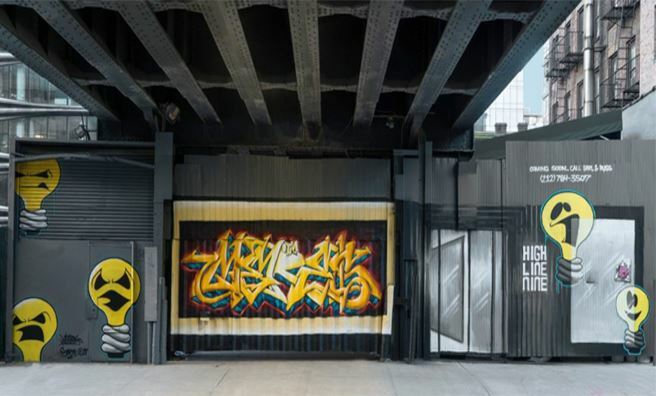 “I am honored to be working on this project in the heart of the new West Chelsea district and bring the spirit of 5Pointz and aerosol art to one of the most iconic new structures, the High Line Nine,” Jonathan Cohen alias Meres One, said in a statement. The works will remain on view until the development of the High Line Nine nears completion and the metal hoardings are removed.